Beautiful bathroom accessories can create that coveted spa feel in your home and so we are always on the hunt for bathroom utility sets that will add a touch of sophistication and glamour to your bathroom. 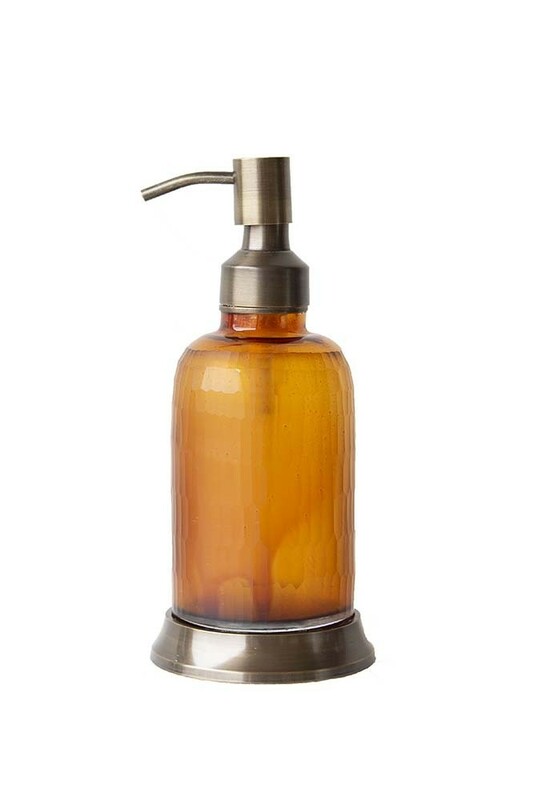 With a honeycomb pattern amber glass and metal base and top that adds unique charm to the beautiful lotion or soap dispenser, you can fill the dispenser with your favourite beauty creams and re-purpose and reuse it for years to come. 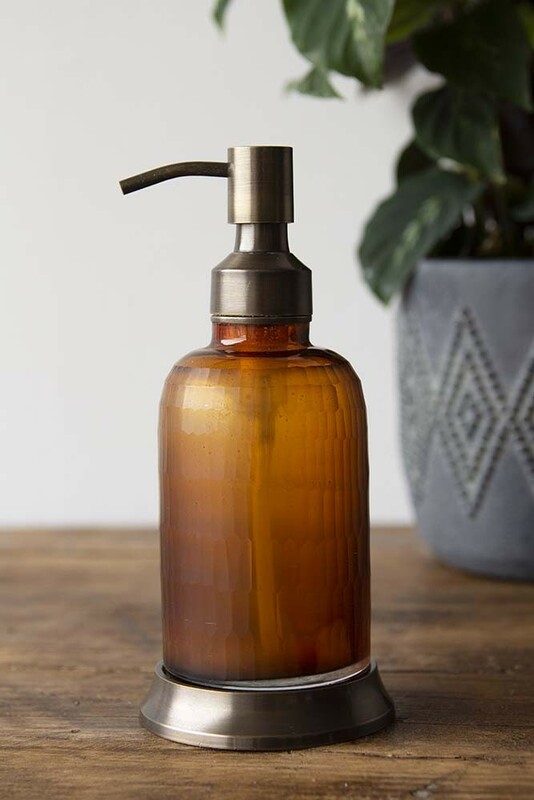 Even better, the lovely Apothecary Style Soap Dispenser is a great eco-friendly alternative to single-use soap and moisturiser containers, meaning you'll be helping the planet in the process. For more tips on how to cut down on your plastic use, check out our blog - Top 5 Alternative Resolution Ideas For You and Your Home. 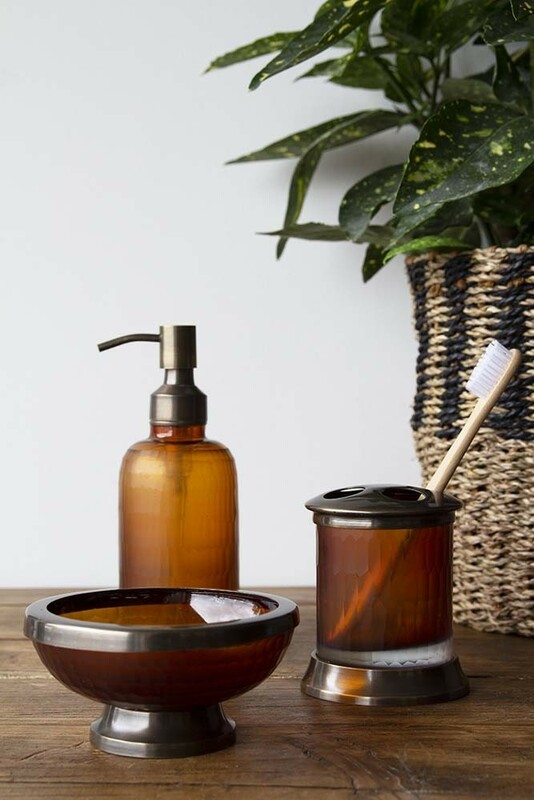 Matching accessories from the Apothecary Style bathroom range are also available, including an Apothecary Style Soap Dish and Toothbrush Mug.